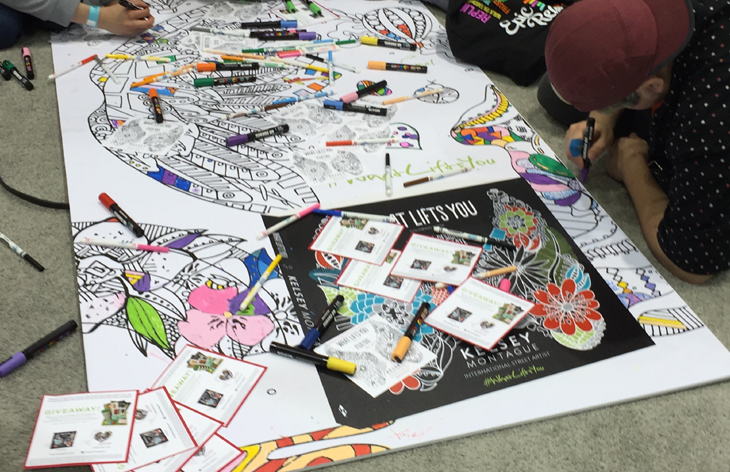 When it comes to BookCon, BookExpo America attendees generally like to get out of dodge. In the past BookCon has been seen overcrowded and plagued with long lines.But this year we are going to write a defense of BookCon. 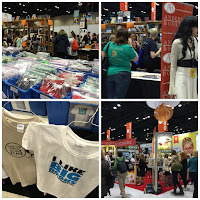 Maybe it's because it was in Chicago, maybe it was because exhibitors know what to expect now, but this year I think BookCon was worth sticking around for. BookCon works because it gives everyday readers a chance geek out and interact with fellow readers, authors and publishers. It's energizing to see hundreds of people filling McCormick place in the name of books and reading. 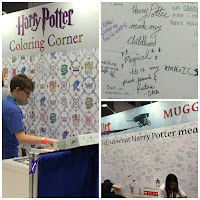 The show had a lot offer consumers; interactive content, giveaways and games to engage readers. 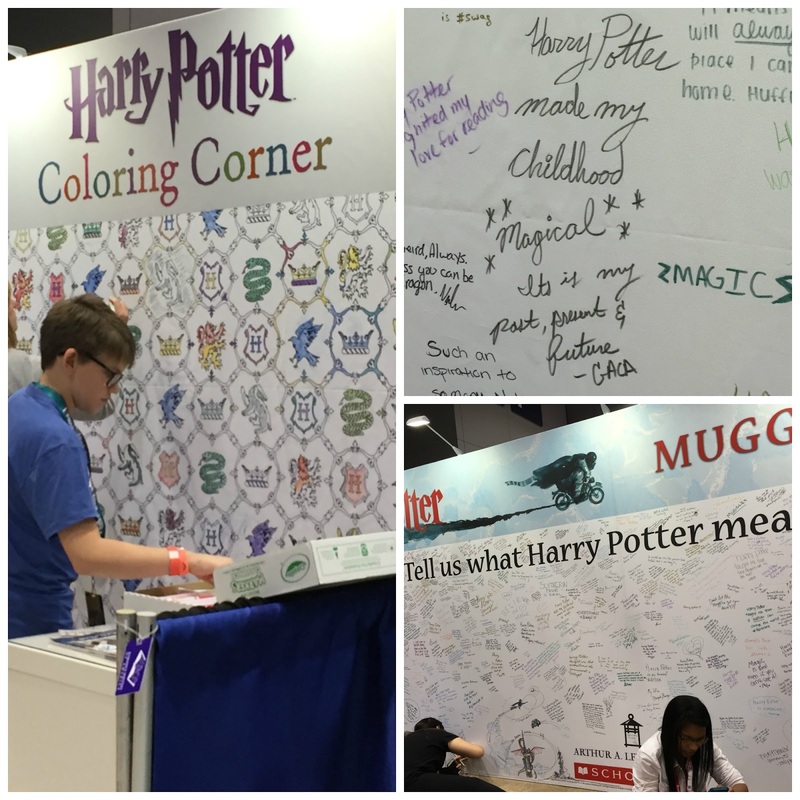 We picked a few happenings at BookCon that stood out to us as winners. 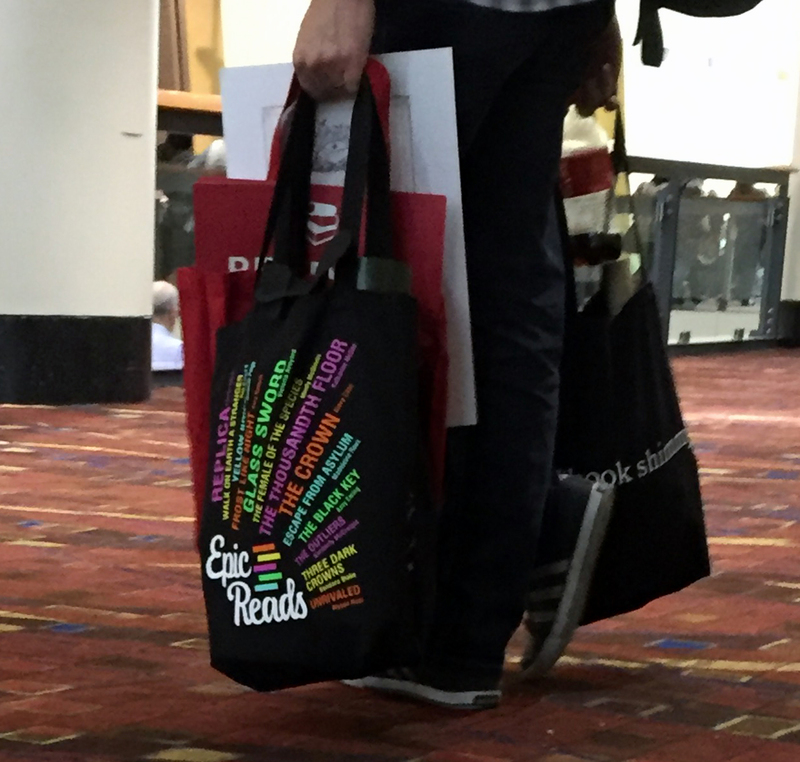 Epic Reads, HaperTeen's online community, made sure that everyone at BookCon had an opportunity to *books shimmy* with their versatile and sturdy tote bags. You had to try not to get one of these bags. They had neat, plentiful and easy to access stacks all over the con. No pushing or grabbing. 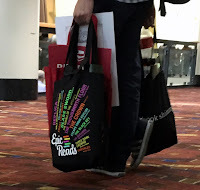 At BEA indie presses are often in the shadows of the big five publishers. At BookCon readers are hungry to learn about ALL the books and flocked to the small presses to purchase or hear about new books. I witnessed many of tired parents kicking back with a small press or self-published book. 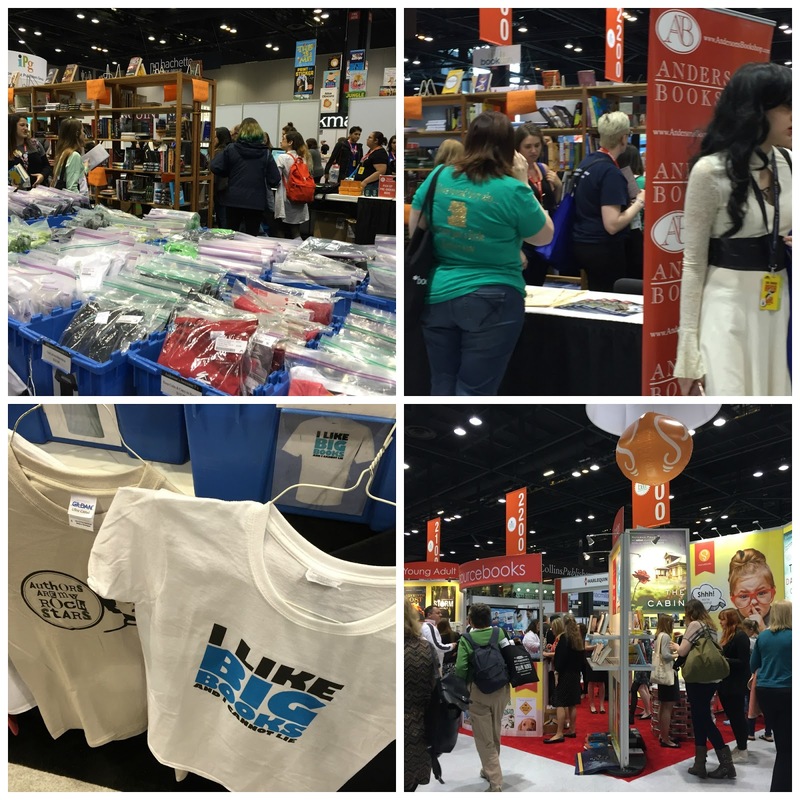 This independently owned bookshop transformed the BEA swag stand into a mini Anderson's bookshop filled with witty bookish T-shirts, cute pins and of course books. Honorable Mention goes to the exhibitor who was overheard trying to get rid of stuff and said "take anything. . .literally anything". Also, Water. McCormick Place had water cups and jugs set up in the halls It's nothing fancy but I thought it was a nice touch. Take notes Javits. Celebrating National Readathon Day 2016 !